We never know what type of disaster will hit us next. Will it be an EMP, a tornado, a flood, a riot, a shootout at a commercial center, or an economic crisis? We never know, but there is one thing that we can all do – prepare! Maybe you have already started stockpiling food and water for survival and you have prepared you bug-out-bag, but are you really physically and mentally prepared to survive any disaster? For this week’s prep blog review I’ve gathered 4 articles on this topic. 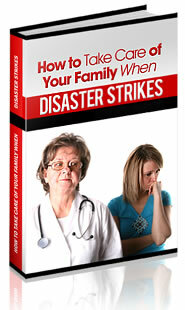 “Plenty of articles talk about how to make large supplies and other preparations for various emergencies. In what follows, I want to take a different approach: I’m going to give you nothing but quick, down-to-earth tips of what to do and what not to do when these 4 disasters strike. Keep in mind that, although the advice itself sounds simple, taking action on it when everyone around you is panicking will be a huge challenge. Read more on Plan and Prepared. “Imagine if you will, what would happen if you pulled an American family from the 19th century, and plopped them in the middle of downtown Los Angeles during rush hour. They’re not given a warning, they’re not given any kind of primer on what they’re about to experience, and the occurrence is completely inexplicable. How long do you suppose they would last before they cried uncle? Would they even survive? The odds probably aren’t so good. “In the deadliest flood ever recorded, every person on the earth — except for the first “prepper family”– died. Read more on Sheep Dog Man. There are many natural disasters that might befall a community, but a tornado is one of the most unpredictable. Several people were killed in the last few days as a rash of storms wreaked havoc in the South and Midwest. Indeed, hundreds of people are killed yearly by tornadoes, but many injuries and deaths may be avoided with sound preparation. A tornado is a violently rotating column of air that is in contact with both the surface of the earth and the thunderstorm (sometimes called a “supercell”) that spawned it. Read more on Doom and Bloom.